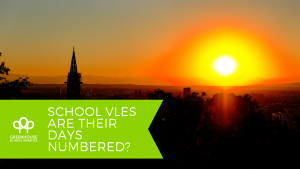 School VLEs – Have the days of the walled garden ended? School VLEs (Virtual Learning Environments) in various guises have existed for a couple of decades now in education. Many think they have disappeared altogether. Although they actually still saturate the market under new, and old, marketing clothes. They currently range from the subtle but popular to the brazen but niche. Those in the subtle, popular category include Google Suite for Education and Microsoft Office 365. Most schools now have one or the other and use them to varying degrees – maybe for school email purposes alone, or through to those schools using them for fully collaborative learning and sharing of educational content and resources. Both are used for sharing planning for teachers and for revision content and project work for students. Not necessarily by every school, but it happens. They have become the modern day learning platform in terms of how we assume a school VLE is used – the online server, as it were, for a school. Now cloud based and easier to access. With a variety of tools which grows with user feedback and clever, subtle, marketing to educators. An evolving platform for education. 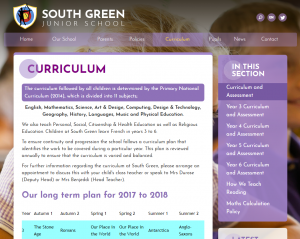 Outside of these newer iterations of the school VLE there still exists the more traditional model – walled gardens of content curated and shared by school staff within school. These may get fresher and more intuitive tools and updates but are still used in much the same way as the learning platforms we have all seen at some point. They are usually top-down in their creation. Someone at school starts them off, they train other teachers to add content, students have access to this educational content. In some instances students also create content but these are rarer. These walled gardens give staff the security of knowing that students are not out there on the at-time scary world wide web, whilst benefiting from the some of the opportunities of cloud-based services. However they cause problems too. The nature of old-style VLEs means getting them set up and used takes a huge amount of time and money. The cost of the platform alone can put off most schools, and then the staffing costs of getting them populated with enough learning content to be useful will add to the overall cost enormously. Then there is all the time spent resetting passwords and that is before you even attempt to get parents involved as well and another set of passwords are given out. Plus many students already use cloud services that are free and accessible to everyone so getting them to also log on to the school VLE is an added struggle – especially as the content is usually not as all-encompassing as the open internet. This graph from Google Webtrends shows that the days of the traditional school VLE really are numbered. On the other end of the scale are the fully open social networks such as Twitter and Facebook which are well used by teachers to share resources and ideas, as well as messaging tools such as Whatsapp and Snapchat, which students are more likely to use for communications. Many schools veer away from any encouragement of using social media, especially at primary school, but they can have their place. 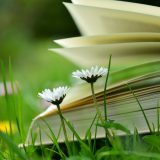 Whether it is simply used to share learning with parents, with a side angle of acting as part of the open school prospectus, or whether teachers are using it to learn from other teachers and keep up to date with changes from the DfE and Ofsted. Social media certainly shows that there is an appetite for collaborative learning and these grassroots, free networks grow organically where the tools are available for all. The reason that social media tools are more likely to be used than VLEs is that they tend to do one thing very well, whereas traditional VLEs try to do a hundred things at once – the filing cabinet for all your paperwork, a quizzing tool, a homework platform, a forum tool, an e-reader, a website, a messaging tool, a blog, a webinar tool, a home-school communicator, payment platform, a revision tool, and that’s just the tip of the iceberg! School VLEs cannot ever be all things to all people but they have to try, no matter how futile it usually proves to be. Whereas other tools, which have cropped up in the last ten years or so, have tended to become popular through their permanent persistence in being the best they can be in one category. Show My Homework, for example, have proven that by focussing on doing one thing well you can corner the market. They produced an easy-to-use homework tool which schools, pupils, and parents find easy to use. When you focus on doing one thing well you can make sure every element of user functionality is small and perfectly formed. In terms of content, when teachers spend hours trying to curate and create content for a learning platform they invariably fall short of the tools which are set up purely for that purpose. Why spend days making a perfect set of learning resources for phonics when Teach Your Monsters to Read have created a free online game, made by actual video game designers and educational advisors, which perfectly takes pupils on a phonics-through-to-reading journey. Teachers with a few of their hard-to-find weekend hours just cannot, and therefore should not, compete with such high quality multimedia educational content. So how do schools now harness the power of all this content and the free, or cheap, services already available online? How do they curate all the tools and content they need and present it to parents and pupils in a way which helps everyone navigate to what they need? Well many schools, if not most, now use their school website for this purpose. If you are using Show My Homework, for example (this is not a sponsored post, other homework tools are available! ), then simply linking to it from your school website is all you need to do. If you are using Twitter to add regular content for parents to view showing current activities in school then why not have the twitter feed added to your school website so it is easy for new parents to find? If you are using Office 365 or Google for your school email addresses then many tools make it easy to use those login details for their tools as well. Checking they do this when you sign up to any new tools will make your life infinitely easier by giving everyone one login for everything, which takes away another of the worries you can have when losing a VLE. Then your website can be the place you gather everything. Most information is fine as public-facing so all people need is their login for any tools which do contain walled-garden type content such as assessment and paid-for educational content. 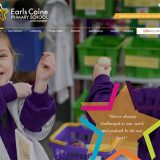 Follow our Twitter feed for examples of our school websites which successfully link learning content into beautiful and easy to navigate content for the whole school community. You can even have your own school app to help parents and older students stay in touch with updates and links. 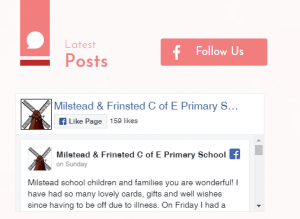 Next story Is Social Media safe for Schools? The School Website Blog is the home of the Greenhouse School Websites blog. 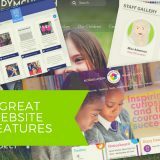 Greenhouse specialise in designing beautiful websites for schools which are easy to manage and fully supported. 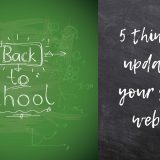 This blog will keep you up to date with the changing Ofsted & Statutory content requirements as well as sharing the latest school websites we've been working on. 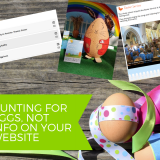 Easter – A time for Eggs and Exam prep! 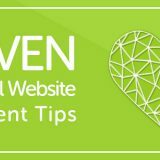 What are your school website visitors looking for (and can they find it)? 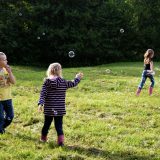 Are term time holiday fines causing absences to rise? Will you be ready for the new Ofsted Inspection Framework? 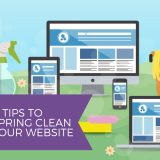 Can your school website can offer more value than you thought? How will your school tackle the Activity Passport? 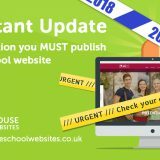 The School Website Design Blog © 2019. All Rights Reserved.